It’s that time of year again. The temperatures get a little cooler, the days a little shorter and the roads get a lot more crowded in the Bay Area as we witness the annual migration of the “Great Northern Snowbird”, and while there are always a few curmudgeons, most of us love this time of year. The malls are busy, restaurants full, and all is well with so many who depend on the snowbird swell. This is also the time of year when the 55+ communities see a lot of changes as lights come on in homes that have been dark and shuttered for months awaiting the return of our northern friends. But not all of those who fly south for the winter have a nest of their own. And that’s where I come in because I take trailer trash and turn it into trailer cash. 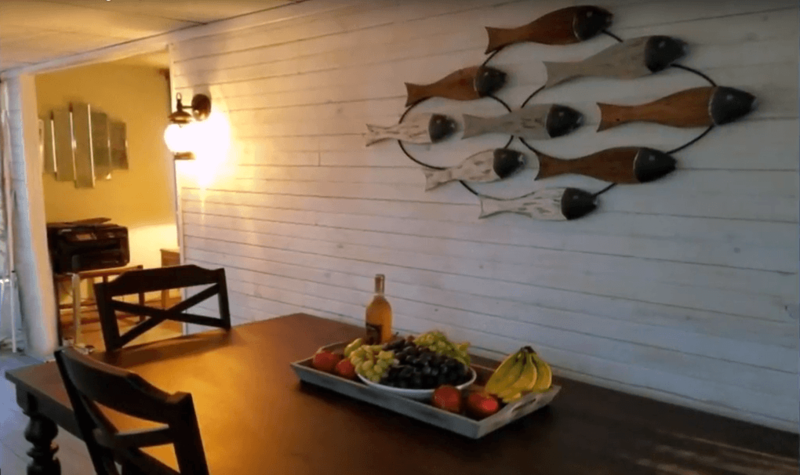 And whether you are a flipper or just looking to take on a fixer upper to save a few bucks on your winter home, there are a few things you should know before you take the plunge and buy that manufactured home. In future installments of Trailer Trash to Trailer Ca$h, we’ll talk about some of the pitfalls you must avoid to prevent your winter home from becoming a bottomless financial pit. I recommend you make a list of what you want and make sure that your lifestyle will be accommodated by the criteria of the community you choose. But for now, let’s start with the one thing you absolutely must get right … location. As you might guess, there are a lot of 55+ communities in the Bay Area and each has their own special flavor along with their own advantages and disadvantages. Some have a lot of amenities such as pools, clubhouses, shuttle services, even shops and restaurants or a medical clinic. Those tend to be a little more expensive and can bring some high monthly lot rents with those kinds of whistles and bells. Others have very restrictive rules about resident’s age, pets, even visitations from family members and especially grandchildren. Some communities are gated while others are more casual. Some communities allow owners to rent their homes in the off-season while others don’t. It is important to understand that these differences need to be explored to make a decision that is right for you. Then of course there is geography. Are you looking for something close to the beach or is golf or shopping more your style? Whatever your reason for coming to Florida, believe me, you can find it if you are willing to invest a little time to make sure you get what you want, where you want it, and for the price you are willing to pay. If all of this is new to you or you are just a little uncertain as to where to begin your search, I recommend you speak to a professional. There are a lot of good folks, like Michelle Waldron with Sunset Mobile Home Sales, who are very knowledgeable about what Florida, and particularly the Bay Area, has to offer in these 55+ communities. Getting the information you need before you make your final purchase is a lot better than finding hidden problems after the closing. And if you are a “fixer upper” for yourself or as a “flipper” our next installment might be very important for you. There are a few hidden patches of “quicksand” in manufactured housing that can absolutely bust your budget and turn your Florida dream into a money-pit nightmare. So, until then, we’ll see you at the beach or catch you at the 19th hole.